Hello and happy Monday all! How can it be the last week of October already? This month just flew by!! 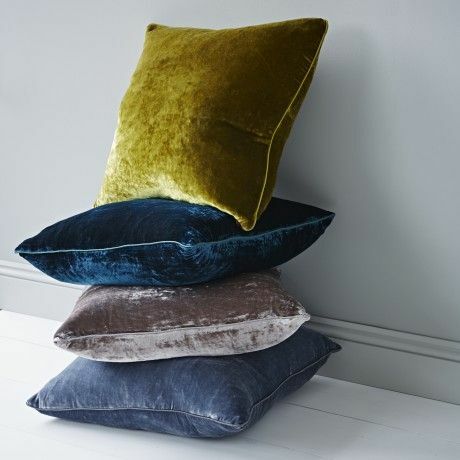 Now velvet is having a bit of a moment in the fashion world, but it also looks fab incorporated into home decor. 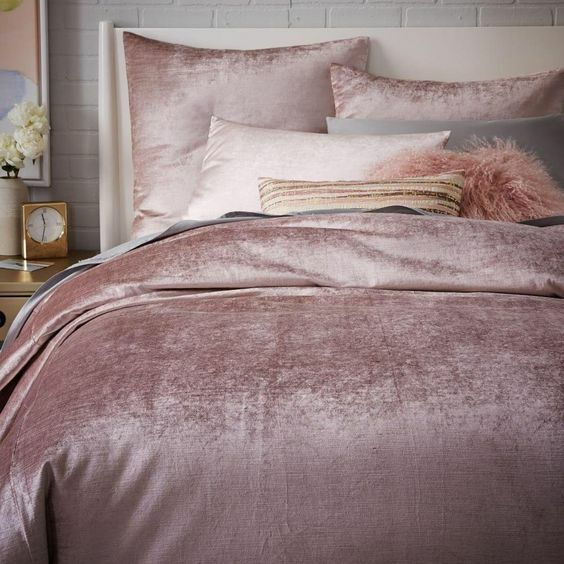 It is so soft and glamorous, and instantly adds a luxurious touch to any room. 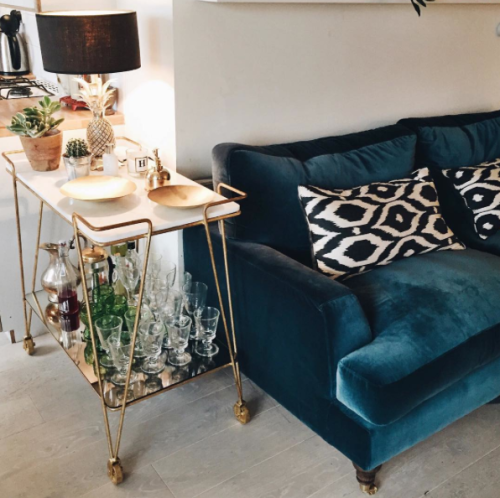 This stunning blue velvet couch makes a real statement piece in the living room…. 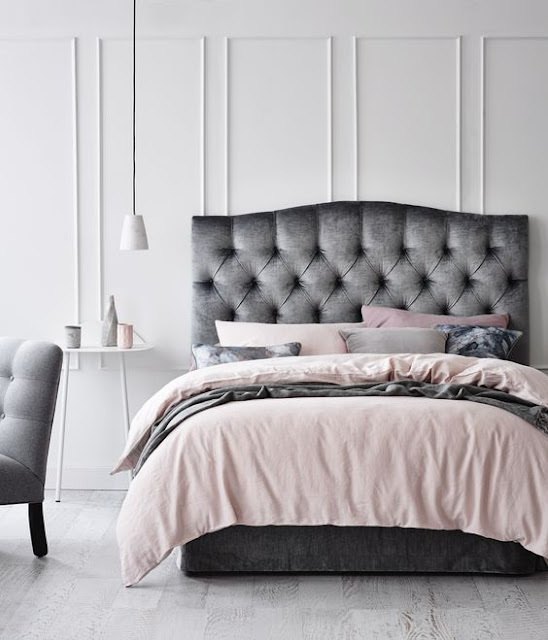 A beautiful velvet throw and co ordinating cushions in soft tones, add a very cosy vibe to the bedroom…. 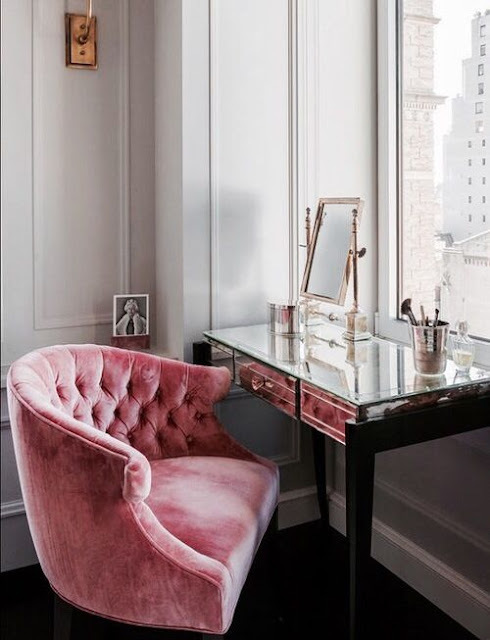 A gorgeous velvet tufted chair blends perfectly with the mirrored dresser here…. 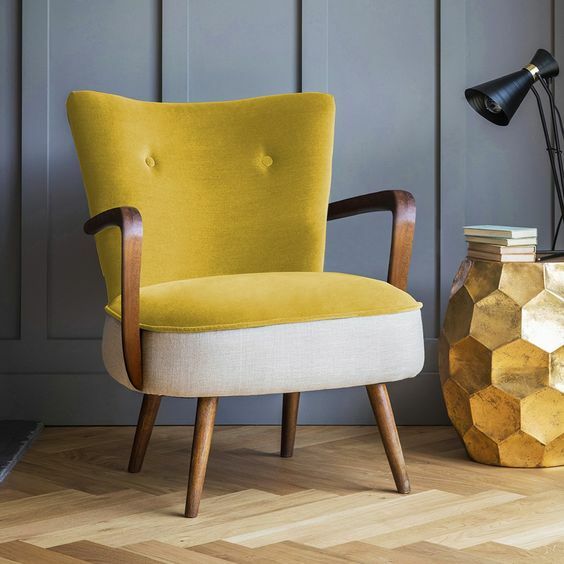 I love the colour and style of this simple chair, which would be so versatile and fit perfectly with any decor scheme in the house…. So these are just some of the beautiful ways you can add a little luxury and velvet touch to your home decor! Personally I’d love the pink bedroom chair and mirrored dressing table as seen above!